This is the first midweek round of fixtures for 2015 K League Classic season and also the 6th round of games. 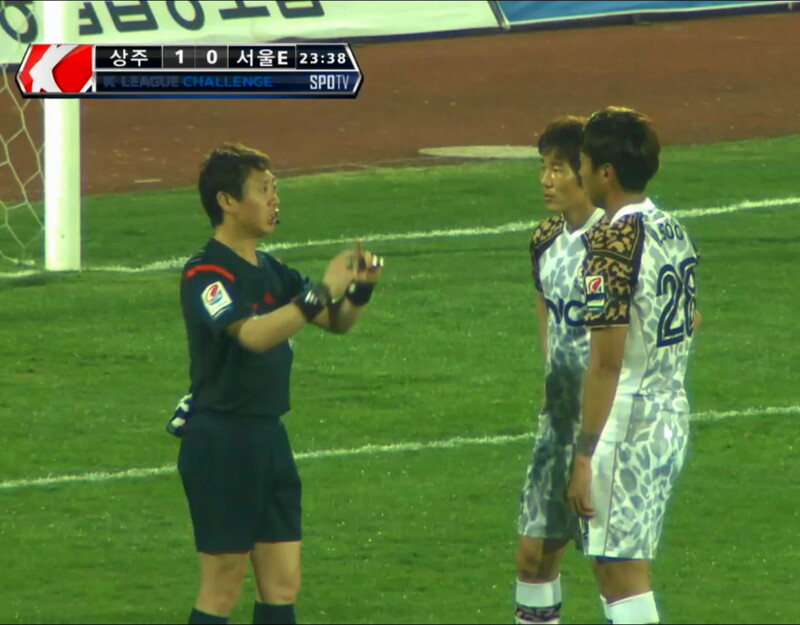 The K League Classic is slowly building steam and should be an enjoyable season. The league table is still developing as only 5 games have been played so far. 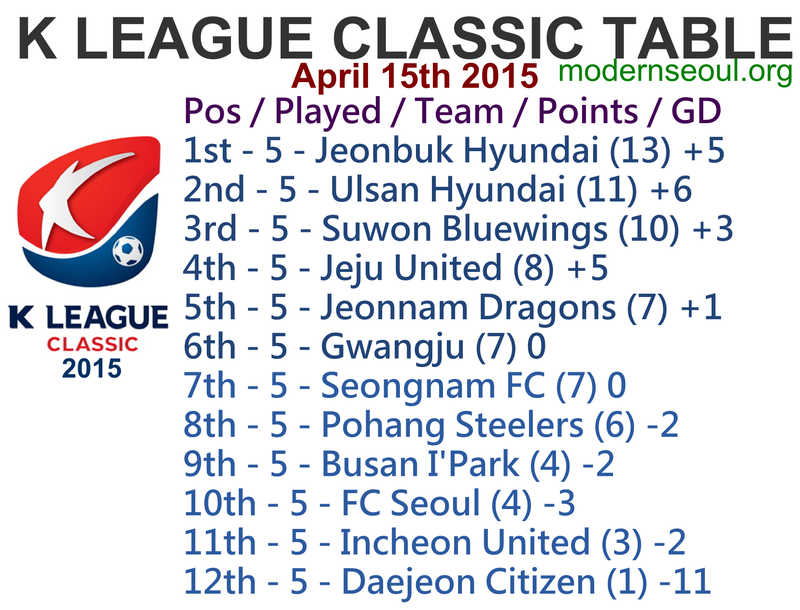 Jeonbuk Hyundai current lead the way, with Ulsan and Suwon following close behind. With Incheon United and Daejeon Citizen in the relegation zone. Busan I’Park have lost 3 games on the bounce. Jeonbuk Hyundai are currently top of the league and have won 4 from their 5 previous games. Jeonbuk Hyundai will be favorites to win this one. Pohang Steelers have lost 3 of their previous 4 games. 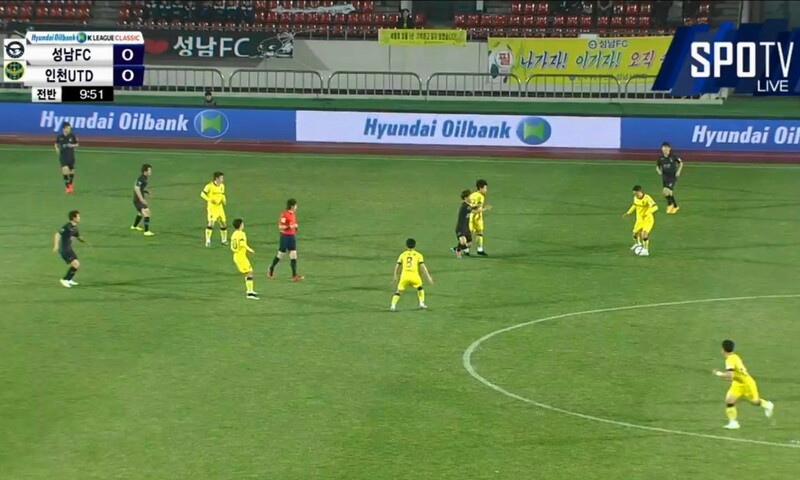 Jeonnam Dragons 4 draws and a win from their previous 5 games and still undefeated. This should be a close game and really we can’t pick a winner and therefore a draw seems the most likely outcome. Ulsan Hyundai 11 points from 5 games and still undefeated. Suwon Bluewings 10 points from 5 games so far this season. Both sides are towards the top of the league and so a draw seem the most likely outcome. Seongnam FC have won their previous 2 games giving them 7 points from 5 games. Incheon United have 3 draws and 2 defeats from their 5 games so far this season. This looks like a nailed on draw. FC Seoul have improved in recent weeks picking up 4 points from their last 2 games. 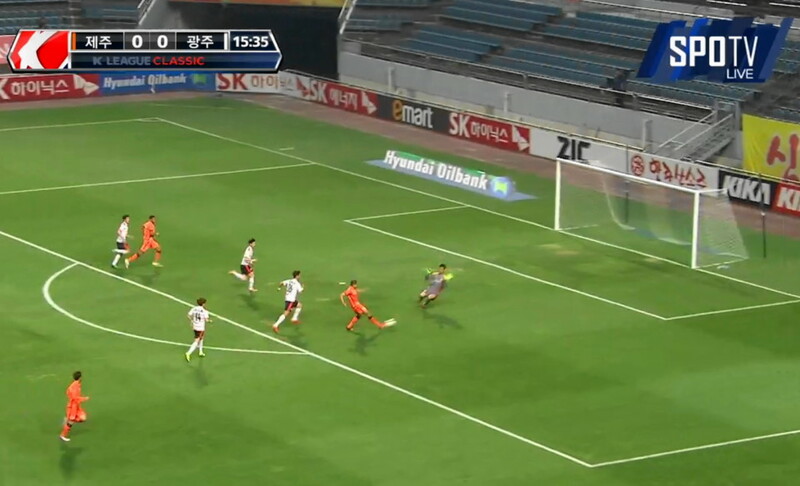 Daejeon Citizen picked up their first point of the season at the weekend, but lost their previous 4 games. 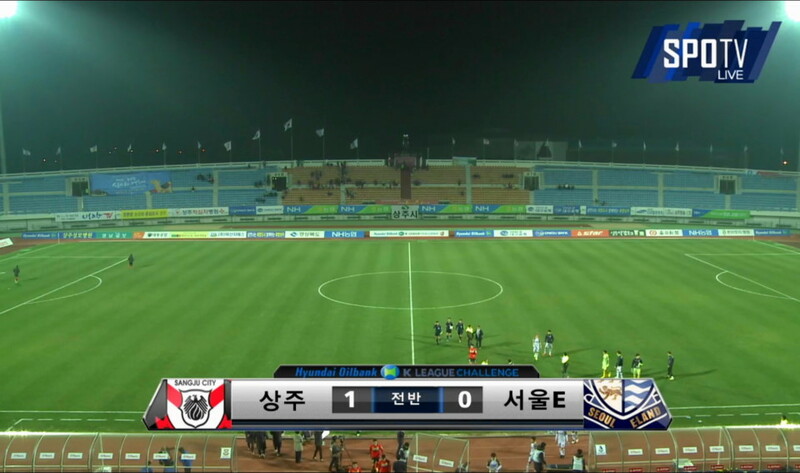 Daejeon looked better last weekend, however FC Seoul should have the edge in this one. Jeju United have scored 6 and conceded 0 at home so far this year (W2 D1 L0 at home). Gwangju started the season well but have lost their previous 2 games. This should be a close game but we see Jeju having the edge at home. 5 correct results from the 6 games, with 2 perfect scores. There are no K League Challenge games this weekend due to the sides being in Korean 3rd Round FA Cup action. The K League Challenge table is still developing. 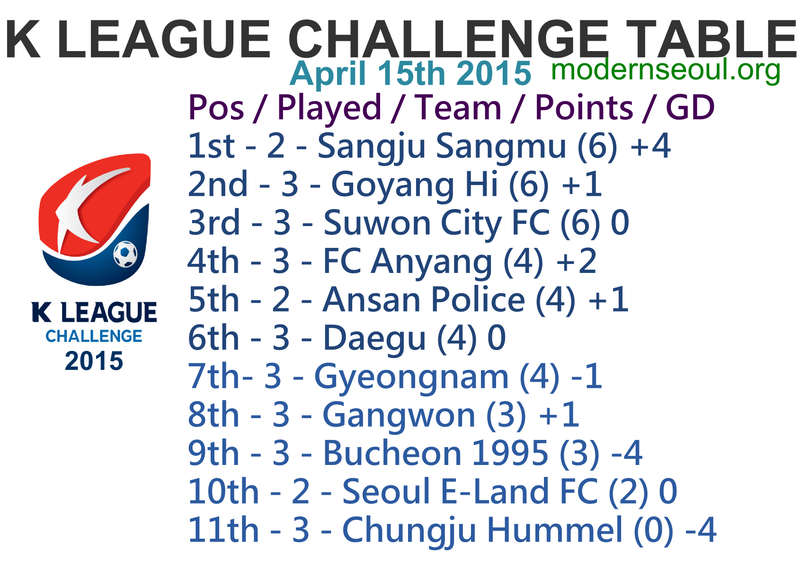 Sangju Sangmu, Goyang Hi and Suwon City FC currently lead the way, with Chungju Hummel sitting at the bottom of the table. 2 Correct results from this evenings 5 games.